Wisconsin’s sandstones, especially the Cambrian- and Ordovician-age formations, are prized for their uniform grain size and high silica content. These formations are excellent sources of the raw material needed for many industrial products and processes, including hydraulic fracturing (fracking) for petroleum recovery. 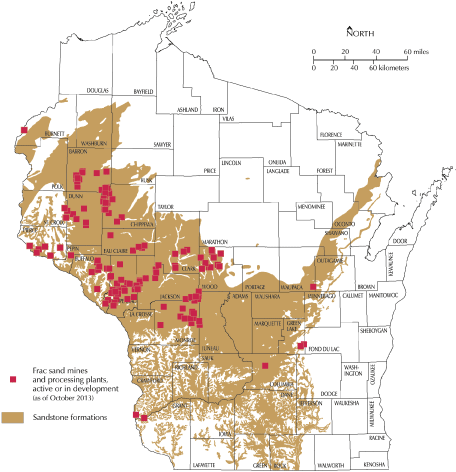 Wisconsin has abundant resources of sand that have been mined for more than 100 years. Our sand is used for glass manufacture, foundry molds, even golf course traps. It has been mined for the petroleum industry for many years. Recent advances in extracting oil and gas using a process called “fracking” (short for hydraulic fracturing) have greatly increased the demand for Wisconsin’s sand. The type of sand used in this process must be nearly pure quartz, very well rounded, extremely hard, and of uniform size. 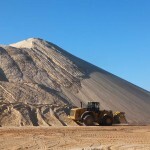 Before shipment, frac sand is washed, sorted to ensure uniformity, and dried. 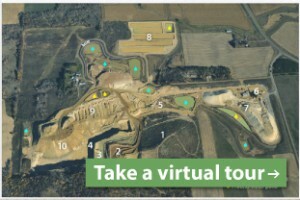 Wisconsin has some of the best frac sand in the country because several of our geologic formations meet these specifications and are found near the surface. 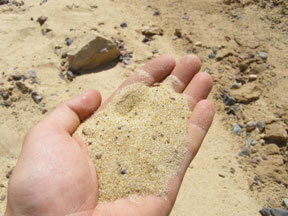 Where is frac sand found? 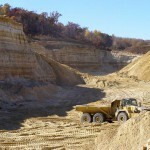 Frac sand is currently being mined from sandstone formations in much of western and central Wisconsin. The same formations are less well exposed and generally more fine-grained in the eastern and southern parts of the state. Sand from younger glacial deposits as well as most beach and riverbank sand is too impure and too angular to be used as frac sand. Fracking has been used by our domestic oil and gas industry for the past 75 years. Recently, the development of new horizontal drilling technology using hydraulic fracturing has made possible production of previously unrecoverable natural gas resources in the eastern, western, and southwestern United States. In Wisconsin, a different kind of fracking is used to increase the productivity of water supply wells in relatively impermeable rocks, such as the granite in the central part of the state. In these cases, only pressurized water is injected into the well—no sand is added. Concerns have been raised regarding environmental and nuisance problems as sand mines proliferate. Mine siting is regulated at the local zoning level. Mine reclamation plans, required by NR 135, must be in place before mining begins. The Department of Natural Resources provides technical assistance to local authorities for these plans. 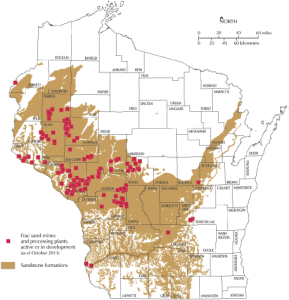 For a summary of Wisconsin’s nonmetallic mining regulations, visit the DNR website.